In baseball, most pitchers throw fastballs in a similar way; two-seamers are thrown with the two fingers on the seams, while four-seamers are thrown with fingers going across the stitches. 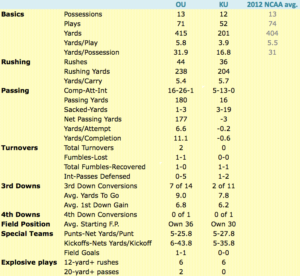 That made me wonder: Are quarterbacks the same way? 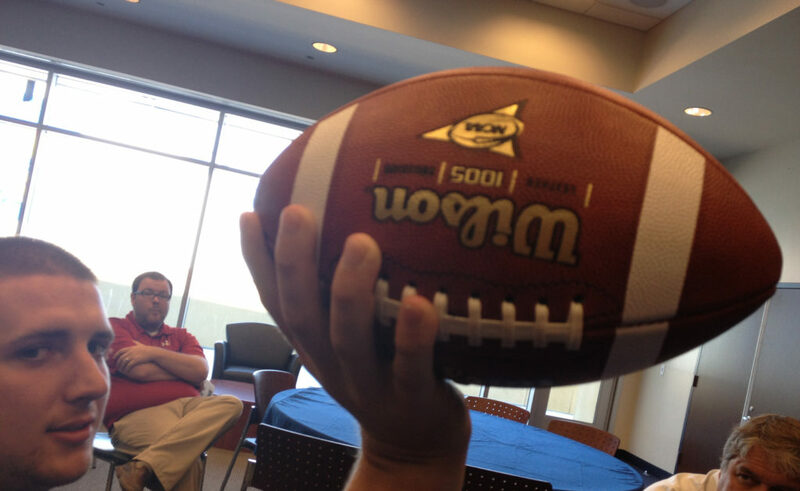 Is it “one size fits all” when it comes to gripping a football? For help with those questions, I consulted the two people on Kansas University’s campus that should know best: starting quarterback Jake Heaps and backup QB Michael Cummings. 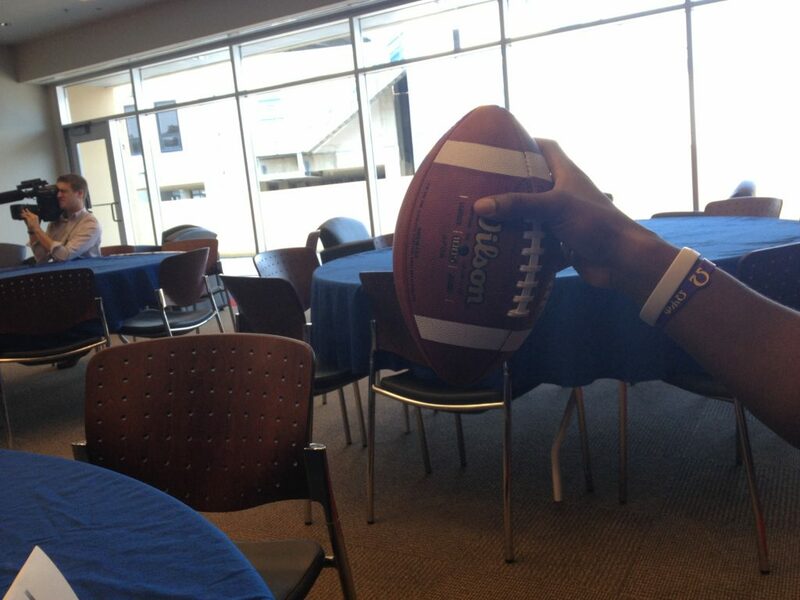 I started with Cummings, who admitted he hadn’t thought much previously about the way he gripped the football. Cummings' grip as a 5-year-old QB. Cummings said he believed the most important part of a grip was getting one that had a “natural feel.” He also said a key was for the pointer finger to be the final body part to touch the ball and even admitted he had a callus on his first finger from throwing. “That stuff hurts, too,” he said. KU quarterbacks coach Ron Powlus doesn’t talk about grips with his players, Cummings said, instead focusing more on the mechanical work of passing like getting the proper footwork. A few minutes later, I made my way over to Heaps, who said he’d had the same grip since the first time he’d picked up a football. 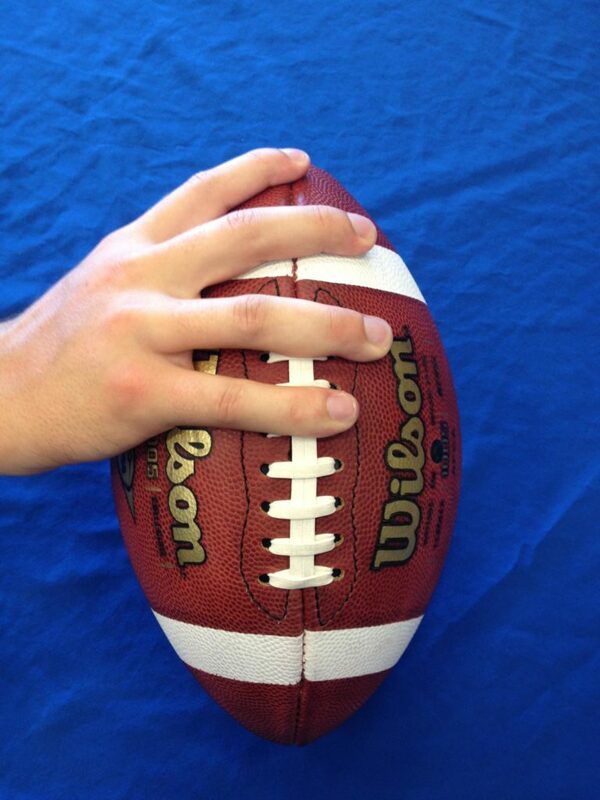 Heaps says it is important to have one’s hand on top of the football, because the pointer finger — the last contact point with the ball — gives the ball its rotation. 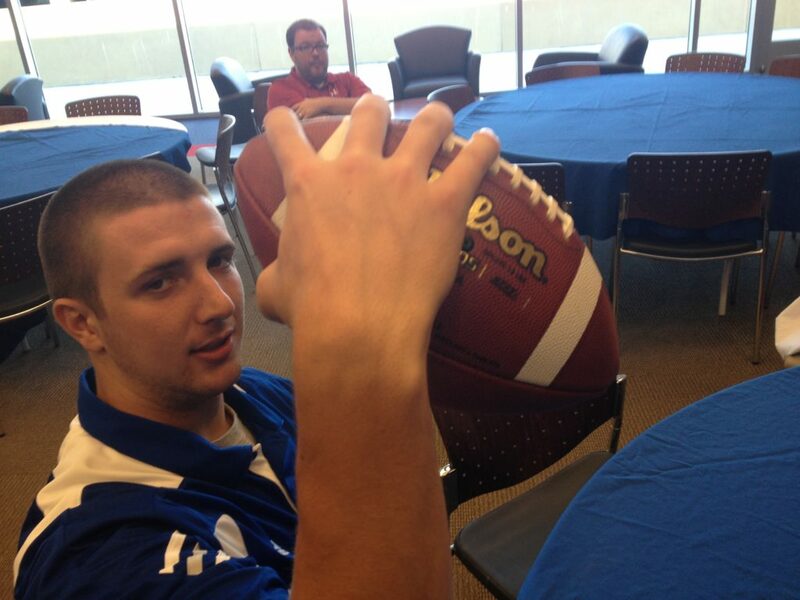 Heaps demonstrates how the ball releases off his pointer finger. 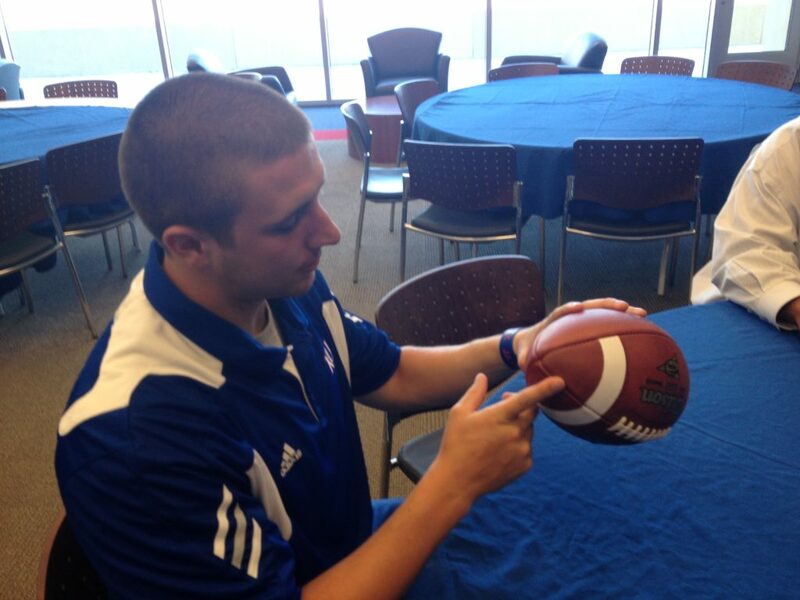 Heaps also believes having the pointer finger high on the ball helps give him more control. 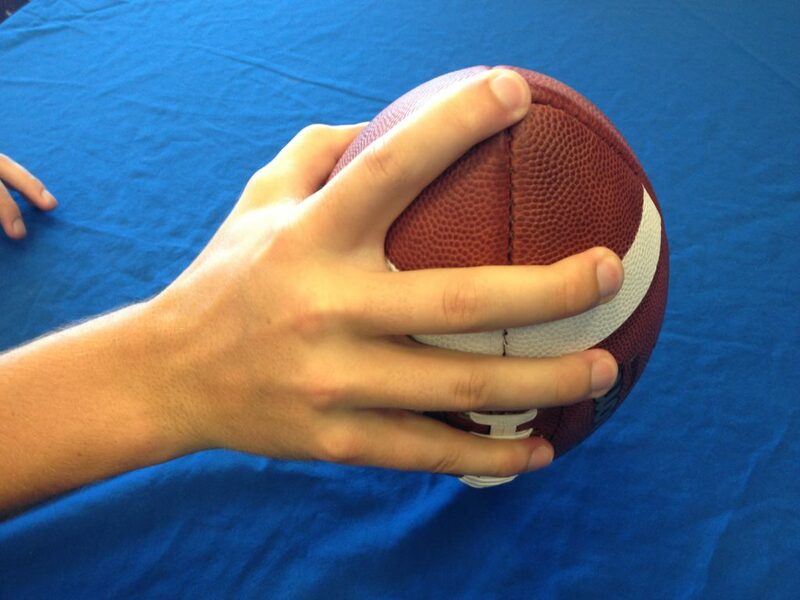 Some QBs in the past have even gone to the extreme with this, with Heaps giving the example that Hall of Fame quarterback Terry Bradshaw put his pointer finger on the point of the football when he threw. 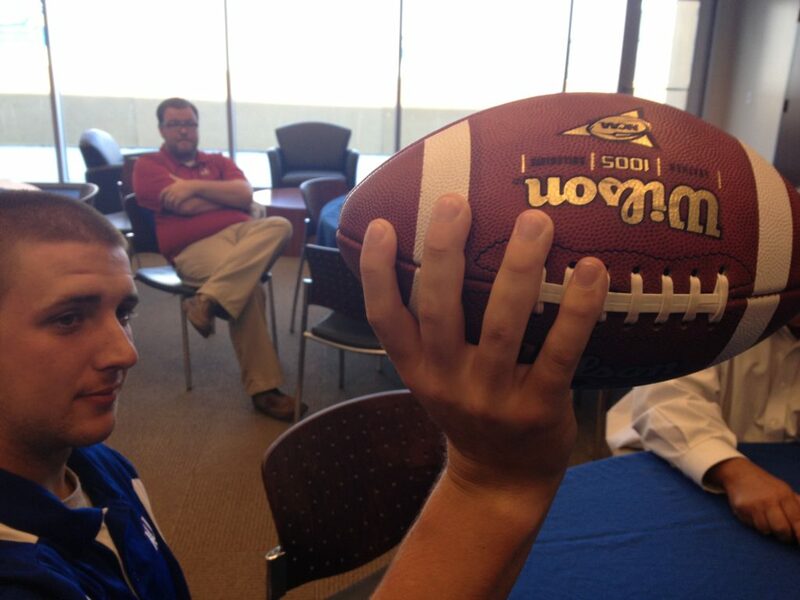 Heaps demonstrates Terry Bradshaw's grip. Mechanically, Heaps said it was important to avoid two pitfalls. One is “cupping” the ball, which means putting one’s hand too far over the top, which makes it difficult to snap the ball for good rotation. The other potential mistake is getting one’s hand too far underneath the ball, which again can be a sign of poor mechanics. Heaps said it was important to maintain a “nice U-shape” with your hand, which allows a QB to get the proper release and rotation. 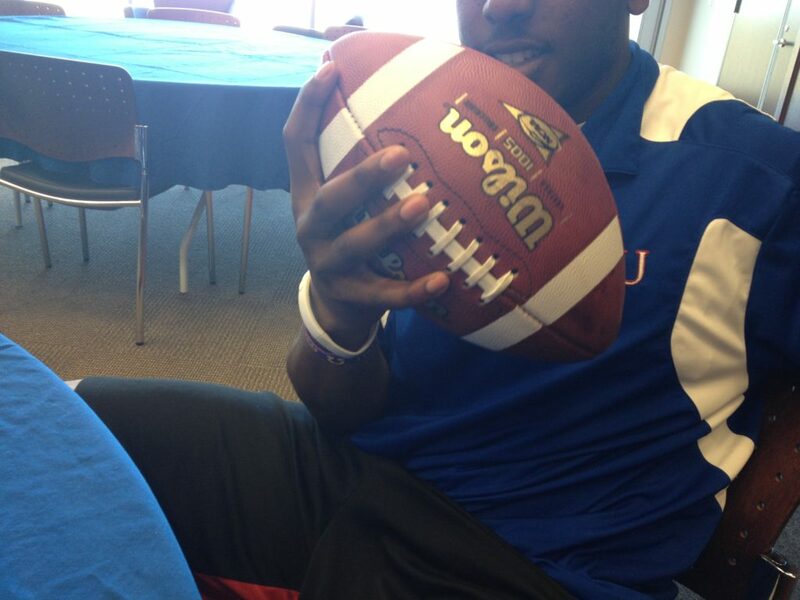 After talking with both QBs, I was interested to compare their grips. It turned out there were quite a few differences. As you can see from this comparison, the two view comfort in different ways. 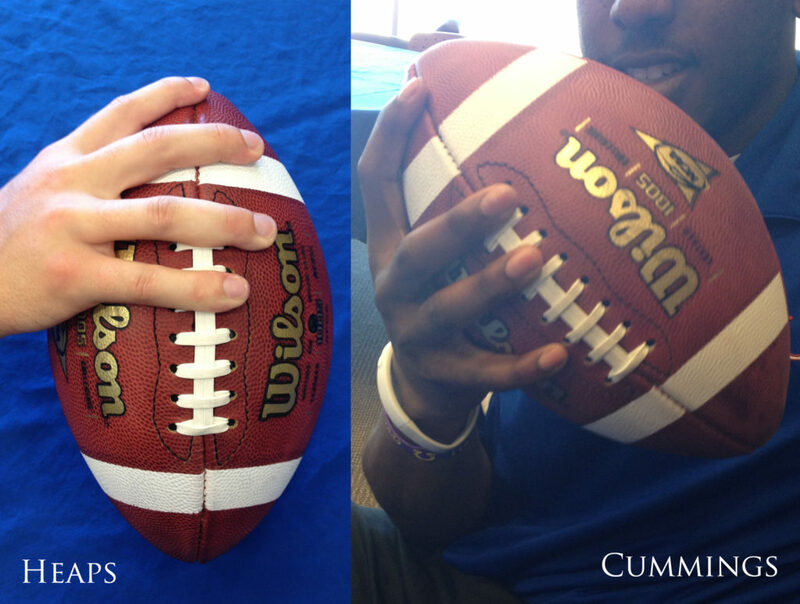 While Heaps’ hands remains tight toward the top of the football, Cummings’ hand has an extreme spread. Notice also the different placements of the players’ middle and pinky fingers. Comparing Heaps' and Cummings' grips. So who has the correct grip? Heaps says there’s no right answer.